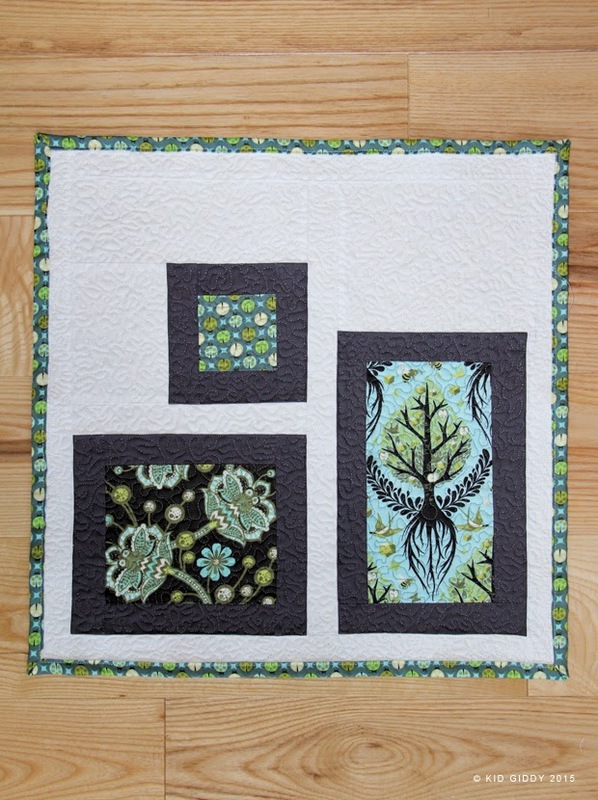 As I'm finishing my fourth mini quilt, I thought it was time to share my first three minis that I made for the different times I participated in the Schnitzel and Boo mini quilt swaps. The most recent was the "Doe Mini" (as I call it), where I shrunk Amy Friend's Kite Tails pattern so I could use the Doe mini charm pack I had from Quilt Market. 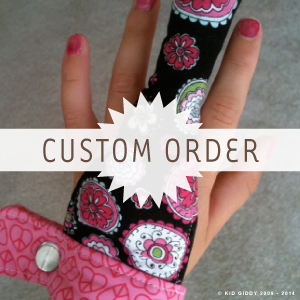 As I began sewing, I realized I only had one and was going to need way more than just one. I put out an ISO on IG and a few awesome folks came to my rescue. Thank you Judy, Chen and Chelsea! 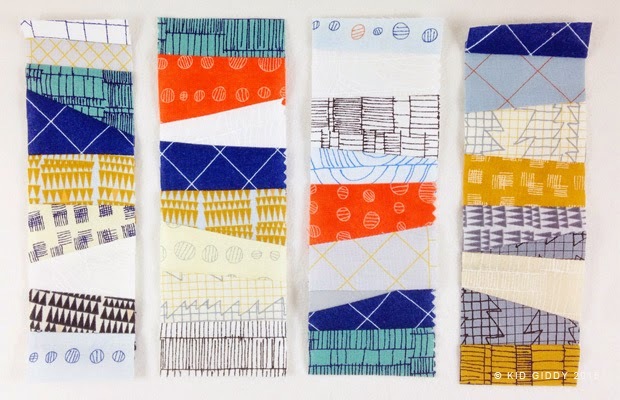 My partner liked the Doe Fabric line and matchstick quilting. I guess I love to overly challenge myself because I did the matchstick quilting free motion. I don't have a walking foot yet, so a girls gotta do what's gotta be done. When I made my first mini and used my Bernina Stitch regulator for the first time, I didn't know about burying the threads *cringe*, but I've since learned, thank heavens. I sort of cheated on this one by adding a little extra batting and the backing, so I could add a border on the front and cover all the edges. No thread burying. Yay! Everyone loves some little extras right? I made a little light bulb pincushion for my partner to match her mini. 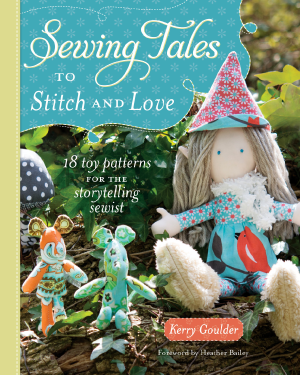 The pattern is from my book "Sewing Tales to Stitch and Love". This doe print was the same as I used for the backing. The Kite Tails pattern doesn't leave too much extra, as long as you aren't working with 2 1/2" squares as I was. I had quite a few decent sized scraps left over that I felt were too large to toss, so I tried my hand at improv. It was fun and there were no tears. 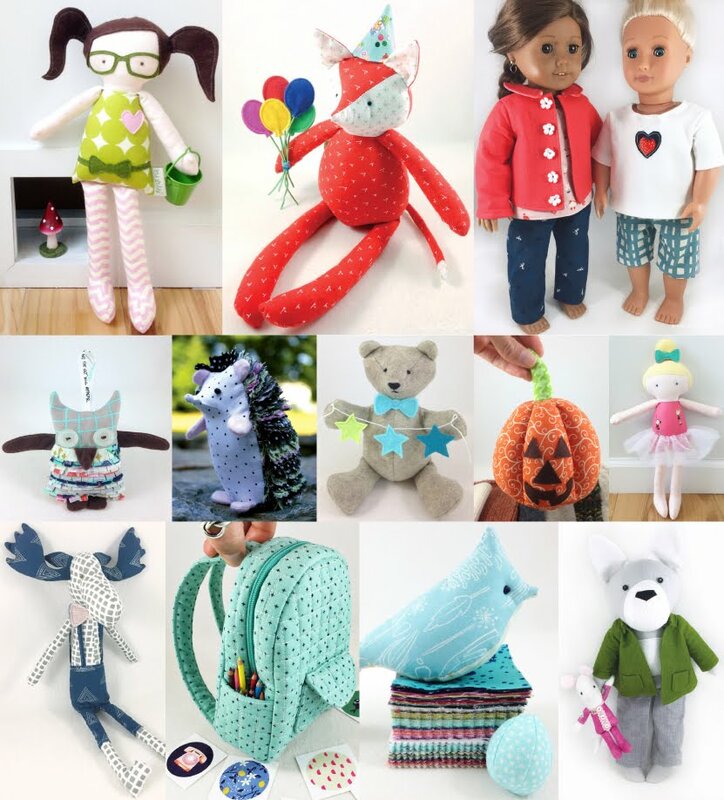 There's no crying in sewing. 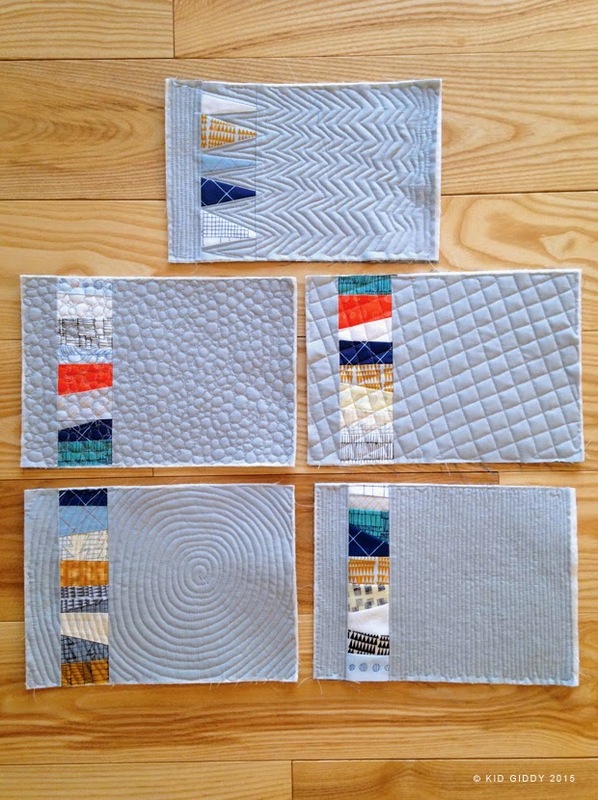 Once I had the strips - I thought little mug rugs would be fun to practice some different free motion quilting techniques. Some stressed me out more than others. I guess I have much work to do before I consider this my "therapy" lol. These were (are) not for my partner - but are little gratitude gifts I'm still working on. 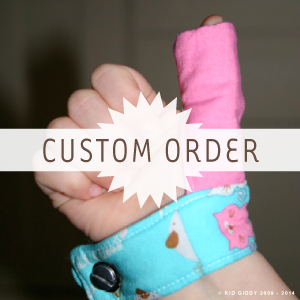 The hand binding is only getting done when I've gotten all my deadline stuff done. So it's very slow going. The 2nd mini I made, was the Anchor Mini. 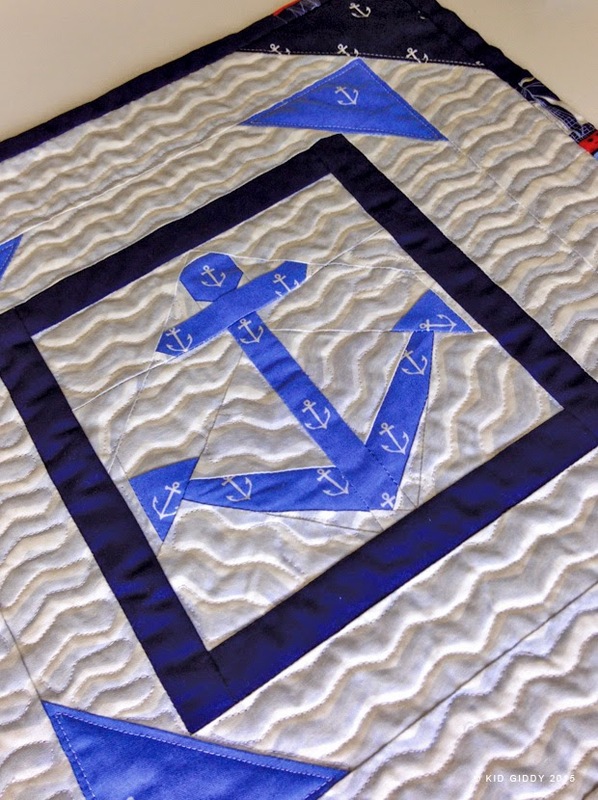 The Anchor was my first paper piecing design, and to date is still my easiest. 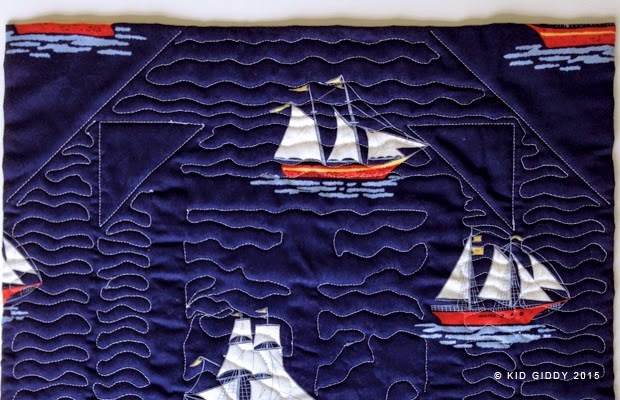 It was fun to quilt the water pattern - and made a fun effect on the backside. My very first was the "Modern Mini". My partner had requested modern and loved Tula Pink. I made so many mistakes - but being my very first, all I can say in my defense - I did my best. I still cringe when I see it, knowing I didn't bury my threads - but did some back stitches...(ouch), And machine stitched the binding. I can't recall what I did that - but have a feeling I was running behind schedule and knew it would take me forever to hand sew the binding. I feel bad for my partner that year and hope she has forgiven me by now. I never heard from her. I'm still working on the Modular Star Mini. It's an "angel quilt" for a special friend that never got one during one of her swaps. 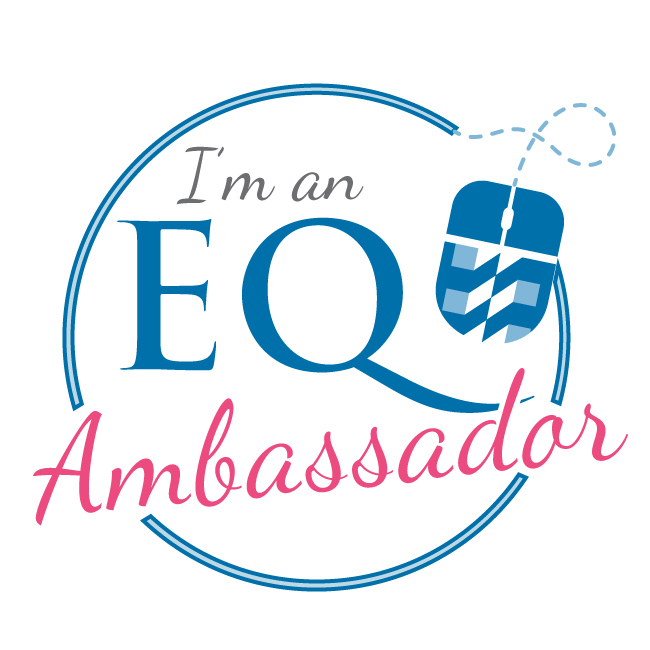 It's my first EPP design I created in EQ7 and am making. I'll share all the process and finished pics soon. I want her to see it done first (you can see my process pics on my Instagram acct). I love making minis because I challenge myself to step out of my comfort zone and try something new. I just have a really hard time letting them go. The Doe Mini was especially hard, not just for me, but my husband too. He loved it. 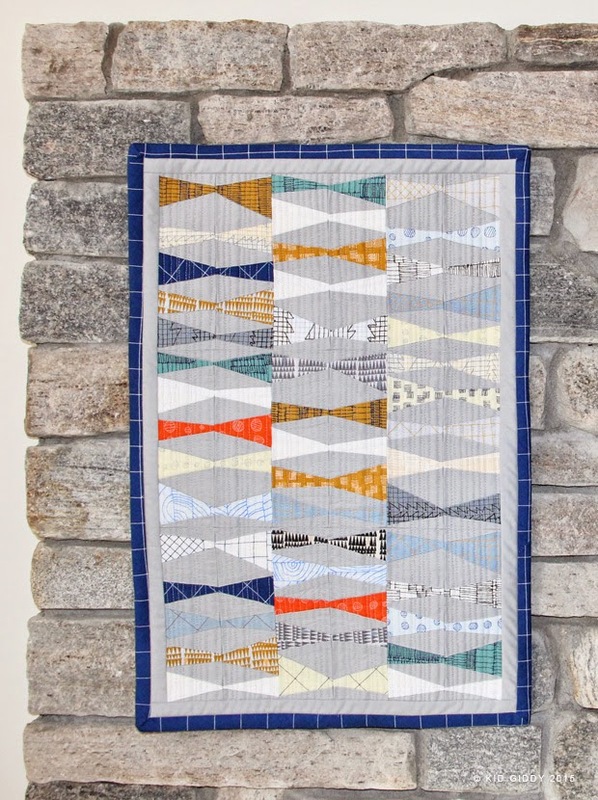 Are you new to quilting? 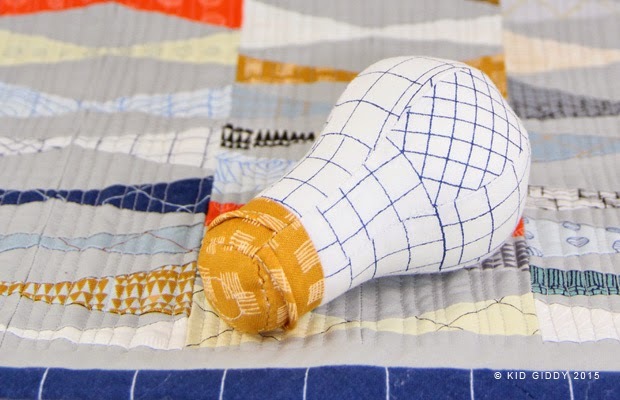 Have you made any mini quilts and experimented with some different quilting techniques?